Farfisa’s first line or portable organs released in the 1960s. 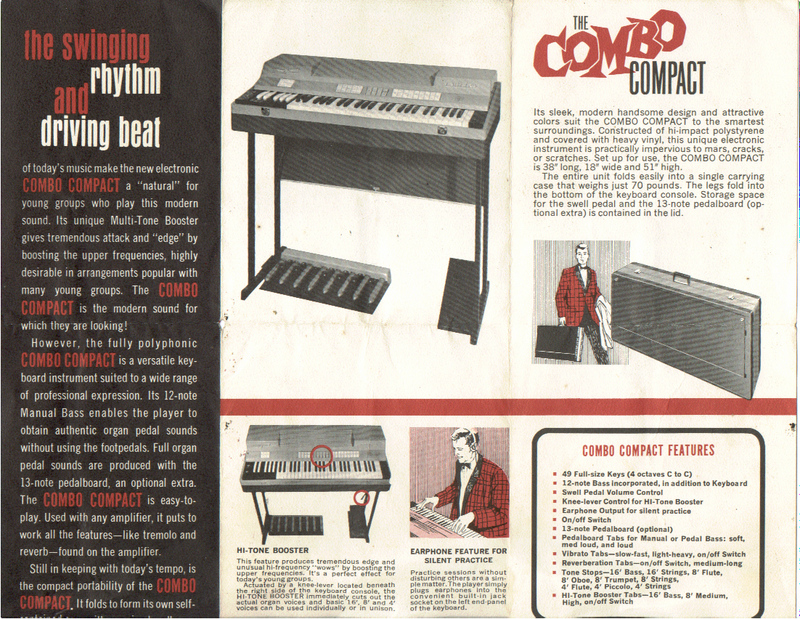 The quintisential red Compact Combo organ was the star of the line, but it was surrounded by the more feature rich Compact Deluxe, the dual keyboard Compact Duo, and the smaller entry level Mini Compact. Check out this cool video from sounddoctorin with a modded Farfisa Combo Compact with a tube preamp. This one, she sounds mean!